"Your system has run out of application memory". and then I need to restart. I have intalled what I believe is the latest version of CommnadPost , but the problem persists. 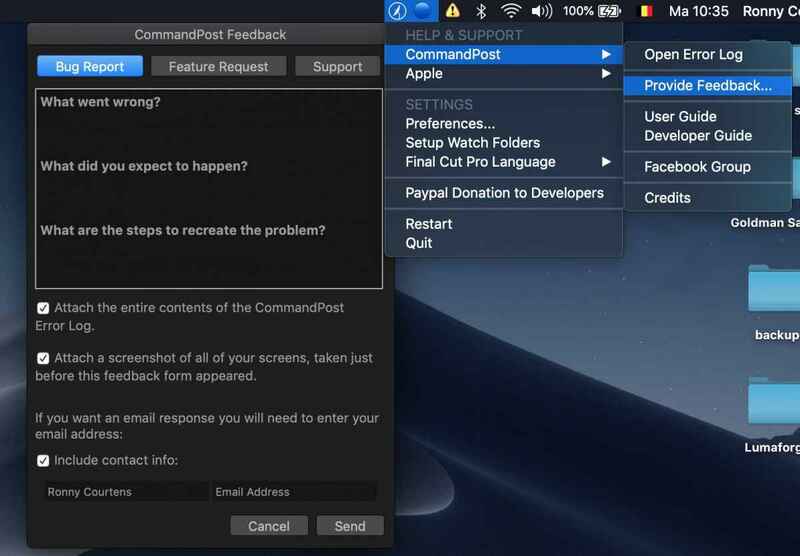 The first thing you can do: try completely uninstalling CommandPost (via the uninstall tool that’s part of the initial download package) and reinstall the latest beta to see if the problem still happens. If this does not help: submit feedback via the Command Post app. This will send a bug report to Chris, with your error log attached to it. Memory leaks are very difficult to solve, they need to be able to reproduce them on their machines.